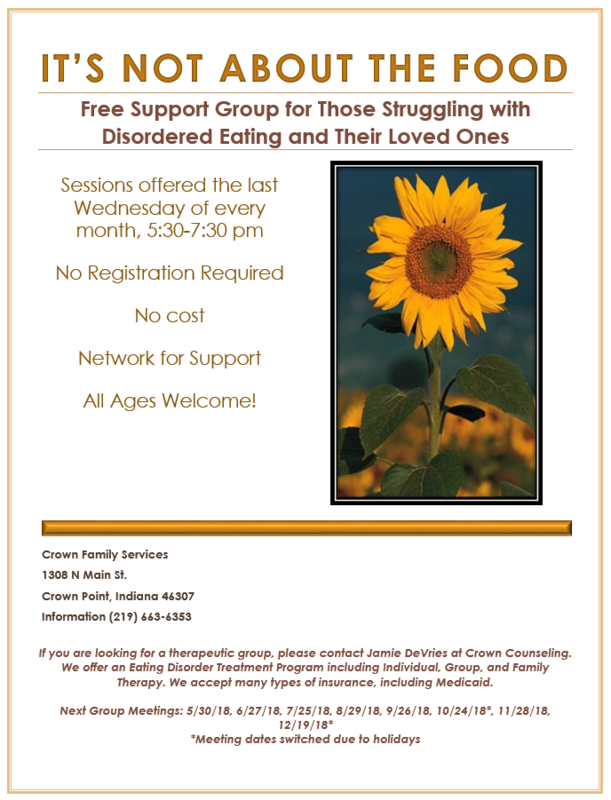 Crown Counseling is proud to offer a monthly support group for individuals with eating disorders and their family members. Providing positive support for your loved one who is struggling with disordered eating behaviors can be difficult. Our focus is to provide a community resource and education that aids in your loved one’s treatment program to provide a family-focused and supportive environment for addressing disordered eating. A safe space is provided for both adults and adolescents, separately, to discuss topics they may be struggling with and how to effectively manage these issues at home.